Split English muffin and toast to your liking. Mix yogurt, sweetener and cinnamon together. Spread yogurt mixture on each half of the English muffin. 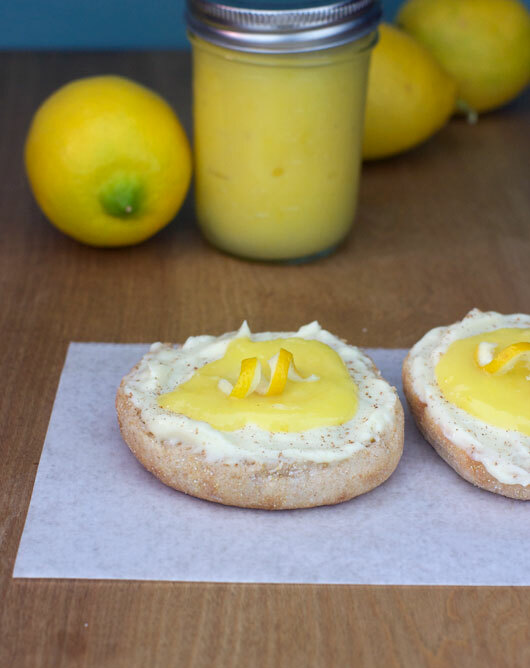 Spread 1 teaspoon of lemon curd on each muffin half. When I first made this, I found that it wasn't photographing well because the yogurt was too fluid and was dripping off of the English muffin in a few spots. I decided to be tricky and use VANILLA PUDDING to act as the yogurt in photos. Surprise! Surprise! I liked it even better with the pudding. 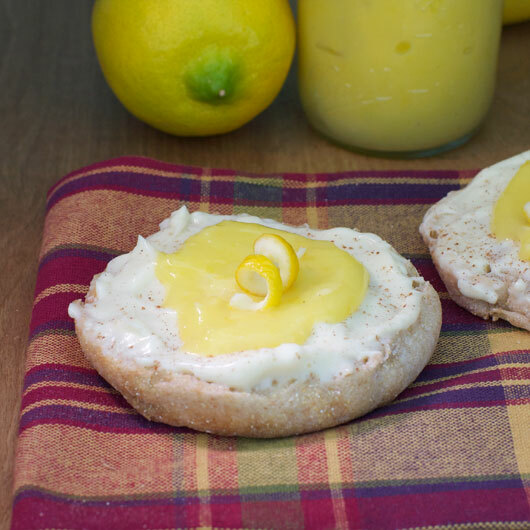 Who would have ever thought vanilla pudding on an English muffin would be so good? Trust me on this one. I love this quick breakfast with a great cup of coffee. Feel better about how you start your day. Mr Breakfast would like to thank maggie91 for this recipe. Recipe number 3159. Submitted 1/17/2013.